27H9409: HANDBRAKE AND HANDCLUTCH PAWL - £17.37. Fitted to: Nuffield 345 and 465 tractors, all Leyland Standard and Q Cab tractors, all Marshall QM and Explorer Cab tractors. 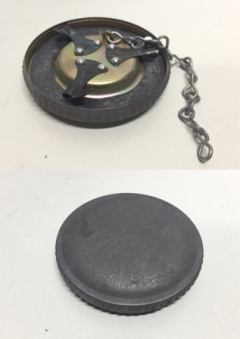 AEB172: LARGE OIL CAP - £37.18. 3 3/8" diameter. Fitted to: Nuffield 3/45 and 4/65 Leyland: 344, 384, early 255 and 270. Marshall 602, 702, 802, 604, 704, 804 and 904. 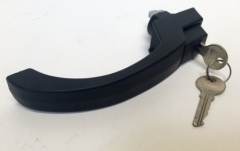 CTJ3210: LINK ARM - £65.00 SPECIAL OFFER. Heavy duty link arm, CAT 2 both ends, 41" from ball centre to ball centre. Fitted to Leyland 285, 485, 2100 and 4100 tractors. We have also sold these for Ford and County tractors. CTJ5904: TOP SWITCH PANEL FOR LEYLAND Q CAB AND MARSHALL QM CAB £118.97. Fitted to: Leyland Synchro models 245, 262, 272, 282, 462, 472 & 482. Marshall QM Cab models 502, 602, 604, 702 & 704. ATJ6957: BUSH HYDRAULIC CROSS SHAFT - £19.52. Fitted to Leyland 344, 384, 255, 270, 245, 267, 272, 462, 472, 282, 482 tractors. ATJ3773: CAP ONLY £1.94. LEYLAND RADIATOR OVERFLOW BOTTLE. Fitted to all Leyland middleweight and heavyweight tractors. Also can be fitted to Marshall middleweight tractors. 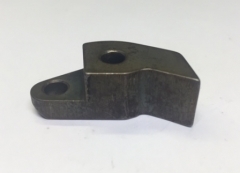 NKJ32: INLET VALVE S/S TO HKJ2164 £10.75 SPECIAL OFFER. Fitted to: Leyland 4/98 and 6/98 engines Marshall 602, 604, 702, 704, 802, 804, 902, 904, 100/2 & 100/4 tractors. 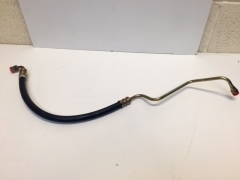 NTJ215: HOSE HYDROSTATIC STEERING - £25.00 S/S TO NTJ1399/A Power steering pressure hose from pump to danfoss unit. One piece hose to reduce noise, fitted to Leyland and Marshall tractors with Explorer cabs. 7H3048: RETAINER SPRING CLIP FOR CARBON THRUST BEARING. £2.75 Each. Fits all single clutch Nuffield tractors, Leyland BMC Mini, Leyland 425, 154, 302, Leyland Middleweight tractors with single clutch and JCB with Leyland skid unit. NTH151: HANDLE ASSEMBLY £6.94. LOWER REAR SLIDING WINDOW CATCH. S/S to - HTH1237 Fits Marshall and Leyland tractors with Explorer cab also fits Marshall 100 series tractors. KEEP IT ORIGINAL. WHY FIT CHEAP AFTER MARKET DECAL KITS?